There are a few plants that we strongly encourage you to eliminate from your landscape. Not only are they invasive or too aggressive, but the alternatives are far more attractive and beneficial to your landscape environment. Top of the list, no surprise here, Honeysuckle. Wildy invasive, hinders the growth of desirable spring ephemerals, may possibly poison the soil and its berries are of marginal nutritional value for the birds. 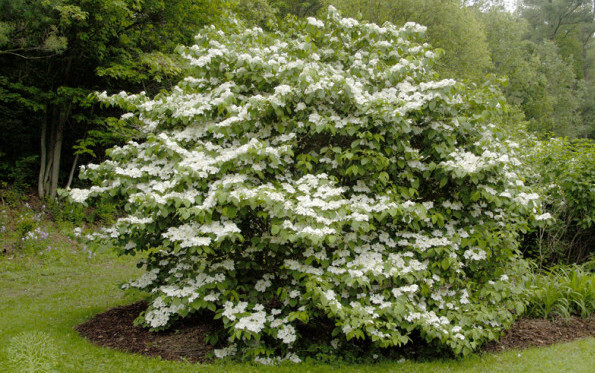 Instead consider: Shasta viburnum. A lovely large shrub/small tree. It blooms early, has gorgeous berries, in the winter it’s architectural interest shines, and if you love to prune your plants this one welcomes it! Or consider a Witch Hazel. Again, gorgeous winter structure, it blooms as early as December or January (what a sight to behold on our gray days!) and its leaves have great fall color. The open nature of the this small tree makes it perfect for creating a dappled shade garden. It blooms best in full sun, but we’ve seen it do quite well in part shade, too. Another to ditch: Pear trees, specifically the Callery Pear. One of the first things people say about this tree is it stinks when in bloom. How’s that a good thing? Next, they split with snow and ice making them dangerous to people and cars. And should you miss your pear tree, worry not, they are lining the highways and edges of fields, so you can visit some whenever you want. Instead, opt for a Japanese Tree Lilac. The scent is fabulous and tends to linger even when the blooms have faded. 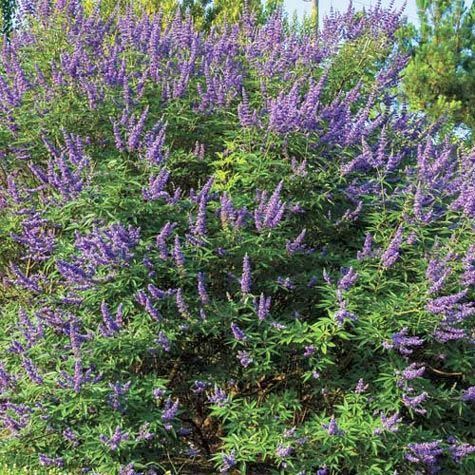 It’s a smaller tree, reaching only 20-30 feet in height, making it easy to tuck into just about any landscape. Buddleia, AKA Butterfly Bush: Don't panic! We are not saying dig it up and pitch it. Some reports show it may be invasive. In speaking with local gardeners at a large public garden, we believe a few may have self-seeded within a few feet of the original plants. But nothing alarming. We have this on the list as a precaution. But, more so because it does require a lot of pruning should you like your flowering shrubs to be clean. Insead, opt for lilac chastetree. It’s far more dramatic. I’ve seen it growing for years with little or no care. I’ve had one cut back (unintentionally) only to bounce back with ease. Should the winter knock it back, it will rebound easily with several feet of new growth in a season. Also, it’s simply not as common in our area, which is refreshing. A little diversity between our landscapes is a good thing.